Those are no small words from one of America’s top Italian wine experts. Federico is the third generation to make wine on his family’s estate in the village of Barolo in the heart of the Barolo appellation. After completing his studies in winemaking and agriculture at the Scuola Enologica (School of Enology) in Alba and the University of Turin, he began making wines for his family’s winery in 1998. 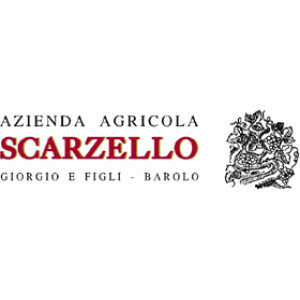 In the years following the Second World War, the Scarzello family made wines that they sold primarily in bulk. But that changed with the extraordinary 1978 vintage in the Langhe when they decided to first bottle and sell their Nebbiolo grapes as Barolo. Today, the winery has five hectares planted to Nebbiolo, including 2.5 hectares devoted to the production of Barolo, 2 hectares in the famed Sarmassa cru of Barolo, and another half hectare in Terlo, another highly coveted and historic single-vineyard site. Federico uses extended maceration and large cask aging — the hallmarks of traditional-style Barolo — to make these elegant and long-lived wines. The estate’s top label, the Barolo Sarmassa Vigna Merenda, can spend up to 30 months in 25-30 hectoliter Slavonian casks.